Gatherings of people for a purpose always have and always will be a part of the human story. Those staging these events have a social and environmental responsibility to manage their impacts and enhance their positive lasting legacies. Written by a leader in the field, this book is a practical, step-by-step guide taking readers through the key aspects of how to identify, evaluate and manage event sustainability issues and impacts - for events of any style and scale, anywhere in the world. The product of tried-and-tested methods, coverage includes numerous examples and case studies from across the world, such as Boom (Portugal), Bonnaroo (USA), Hurricane (Germany), and Glastonbury (UK) Festivals. Readers are provided with checklists for action and tools for measuring performance. This updated second edition includes a detailed review of the new international standard ISO 20121 Event Sustainability Management Systems along with other recent standards and certifications. It expands detail on measuring and reporting event sustainability performance outcomes with explanation of the Global Reporting Initiative Event Organizers Sector Supplement performance indicators. 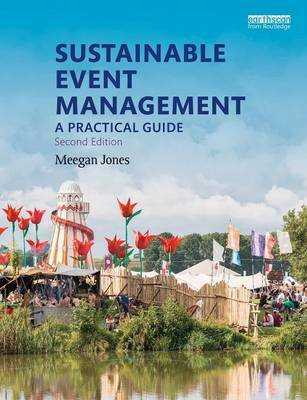 This is the indispensable one-stop guide for event professionals and event management students who want to adjust their thinking and planning decisions towards sustainability, and who need a powerful, easy to use collection of tools to deliver events sustainably.